Founded in 1986 under the vision of "doing ministry in the shadow of the [Chicago] skyline,” today Park Community Church’s vision is to reach 1% of the city of Chicago with the message of the gospel. To that end, since the summer of 2008, the church has opened five additional campuses in various Chicago neighborhoods, with plans to open additional campuses and church plants in other neighborhoods. 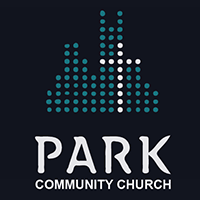 After a rigorous software evaluation, Park Community Church chose Sage Intacct over other on-premise and cloud solutions as the best fit to meet the unique needs presented by its ongoing expansion. The church's finance department relied heavily on inefficient, manual processes and bulky, complex spreadsheets to generate accurate and timely reports. Park Community Church's legacy accounting system did not allow for real-time reports tailored to the unique needs of its various ministry directors, pastors, and leaders. The management and reconciliation of credit card expenses and payments was a complicated and time-consuming process. Sage Intacct provides Park Community Church with the ability to create flexible reports by dimensions, such as by ministries, locations, or both. Sage Intacct's best-in-class approach allows Park Community Church to easily integrate other financial management software, like Nexonia, to provide time-saving credit card and expense automation. Sage Intacct allows Park Community Church to ensure control and regulatory compliance with nonprofit accounting and tax standards. "Because of AcctTwo’s experience with other churches, they were able to help us with best practices and guide us towards the most effective and efficient way to set up our system; for that, we are very grateful," said Michael Dickerson, Controller at Park Community Church. "With AcctTwo, we felt like their only client." “With AcctTwo, we felt like their only client."